This is a school based production project, were we built an FPS in 12 weeks. 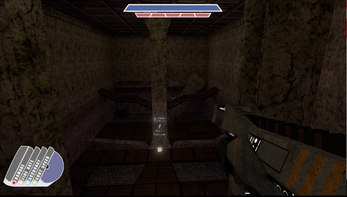 A single player, fast-paced first person shooter in which the player uses one gun with modifiable attributes. 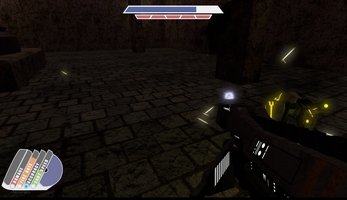 The player is able to allocate points from a pool of energy ("gun juice") into the stats of the weapon during combat. The one-gun, along with above-average character mobility, allows the player to feel out their capabilities and then explore playstyle choices at their own pace through a variety of distinct enemy and level designs. 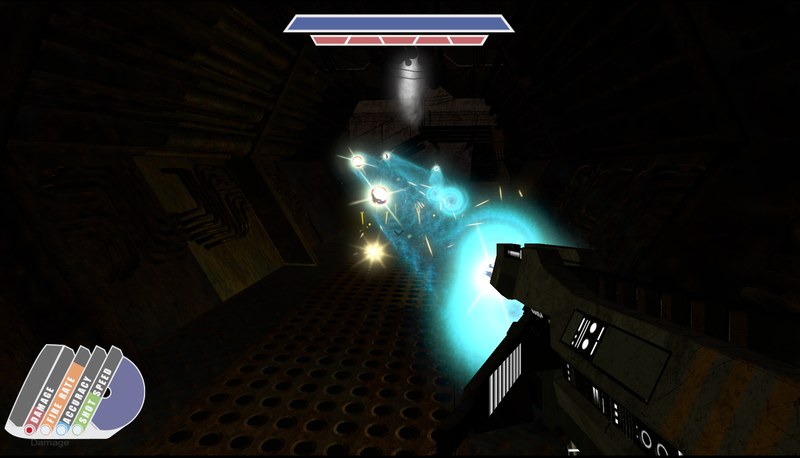 The player is made to feel powerful, but not invincible, and is required to make effective use of their weapon based on the situation to avoid death.